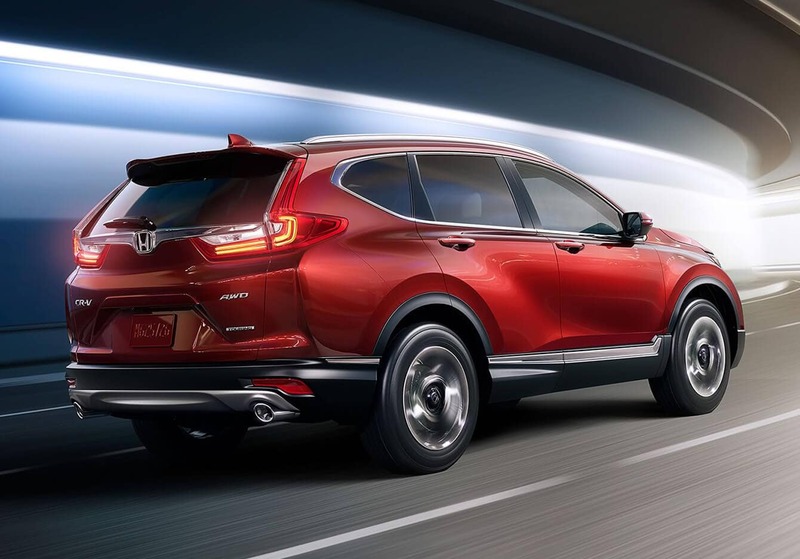 The 2018 Honda CR-V is offered in four different trim levels with a wide range of in-demand features, including a spacious cabin, safety features like available Honda Sensing®, and advanced technology including the HondaLink® smartphone app. From the LX to the EX, and above, the CR-V offers a range of desirable features for a reasonable price-tag. Experience it all near Inglewood at Airport Marina Honda in Los Angeles, CA. The base trim comes standard with a 2.4L I-4 engine and features like a multi-angle rearview camera, Bluetooth® connectivity, and 60/40-split folding rear seats. Move up to the EX for a turbocharged inline-four engine and features like the Honda Sensing® suite, a 7-inch touchscreen, and Smart Entry with Walk Away Auto Lock®. The CR-V EX-L gives you leather upholstery and an auto dimming rearview mirror, as well as power front seats and tailgate. The top trim comes with a Honda Satellite-Linked Navigation System™, a hands-free access power liftgate, and full LED headlamps. Check Out the New Honda CR-V Crossover Near Santa Monica! The new Honda CR-V beats out the Toyota RAV4, and shines next to the Honda HR-V too. After exploring more about the CR-V interior, browse our inventory at Airport Marina Honda, your Inglewood area Honda dealer at 5850 West Centinela Ave in Los Angeles, CA.